I’ve started a field study on buffelgrass and its impact on native plants, also looking at water and at predators. One day, while counting seedlings up Chaos Canyon (in the Tucson Mountains), a field assistant and I both paused at a distant boom. “Did you hear that?” I asked. After a few minutes wondering what had caused it, the other student pointed out to the floor of the canyon. 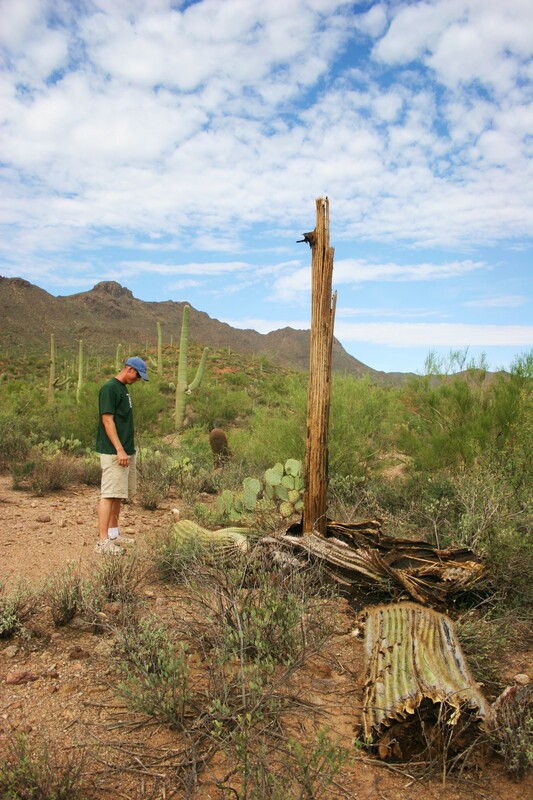 “I don’t think there used to be half a saguaro there,” he said. 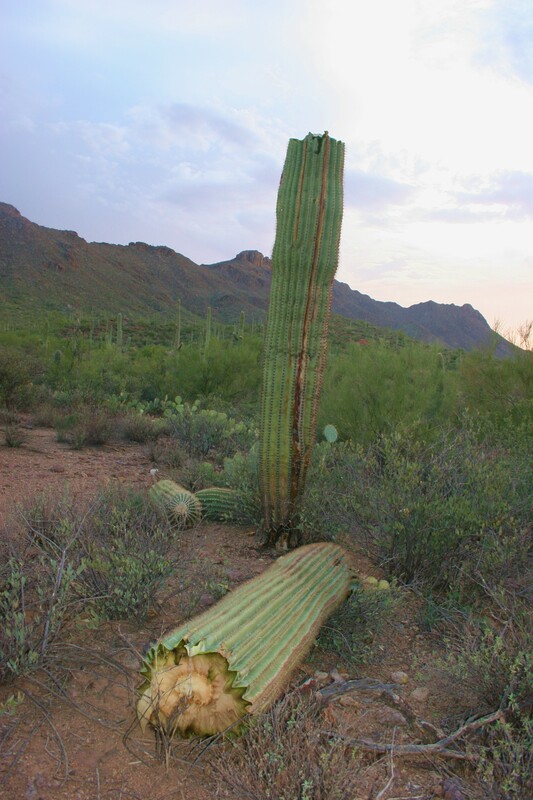 We hiked out the long way to check it out, and sure enough, there was a freshly fallen cactus, juicy and meaty flesh scattered about from the impact. The air was thick with insects drawn to the moist treat. I left town the next day for a conference, and when I returned, I tried to showanother friend the site. I almost didn’t find it again – already its skin had sloughed to its feet like a dirty pair of jeans after a long, drunken night on the town,leaving sad ribs exposed. Even the flies left it alone now.